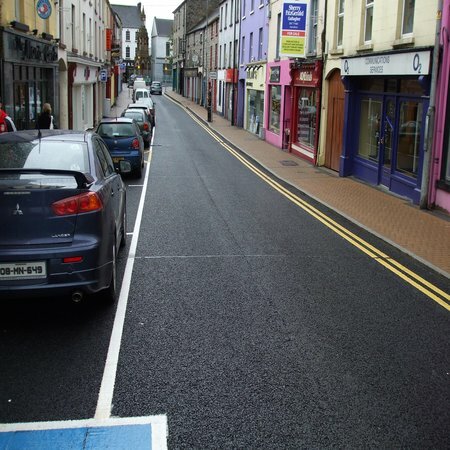 The Monaghan Town Centre Regeneration Project which will see The Diamond, Dublin Street and Old Cross Square areas undergo a major environmental enhancement,The construction period is set to last for five months and will involve the reconstruction of footpaths and roads, the laying of new watermains as part of the water conservation project, the undergrounding of existing ESB cables as wells as the provision of new street lighting and furniture. The project will also see the reconfiguration of traffic movements at Old Cross Square with the provision of a new roundabout aimed at easing access and egress from the Square and Rooskey Road. The project also entails the provision of an enhanced public space at The Diamond with a raised performance area and seating. The major infrastructural project is 60% funded by the European Regional Development Fund, managed through the offices of the Border, Midland Western (BMW) Regional Assembly. 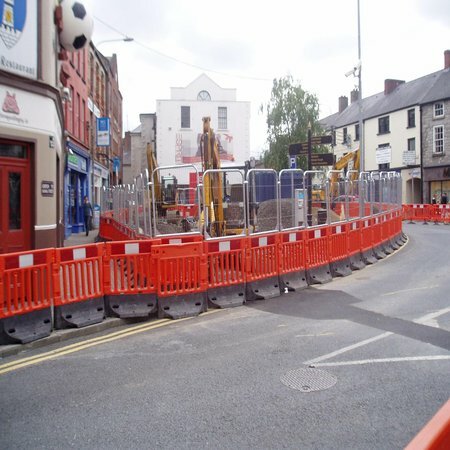 Although the works will involve unavoidable disruption to the vehicular and pedestrian movements within the vicinity, Monaghan Town Council, in co-operation with our Contractor, S. Wilkin & Son Ltd will endeavor to keep this disruption to a minimum. 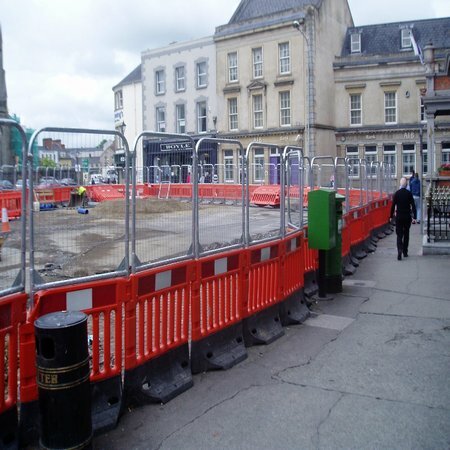 Pedestrian access to all properties will be maintained throughout the construction period, and the works have been programmed to minimise vehicular disruption. 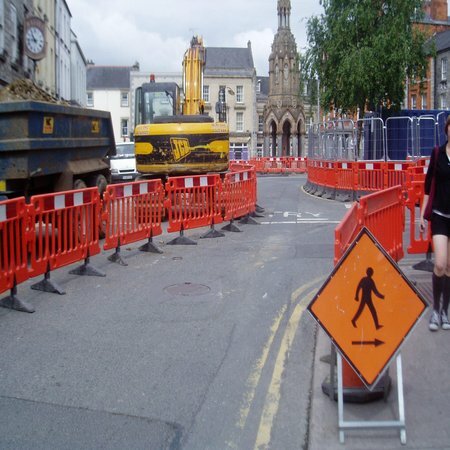 Access to the town centre via Glaslough Street will be restricted to HGV traffic for certain periods of the works and HGV drivers are asked to follow the diversions that are in place. Deliveries to businesses in the area will be co-ordinated through the Contractor, S. Wilkin & Sons Ltd. This also involved new sewerage, pipe laying and twin pumping mains (500mm) and also a watermain (250mm) with all house connections and associated works. Underground esb/Eircom and drainage. Kerbing, reconstruction of road, block brick paving, new public lighting scheme and a complete new granite paved area of 2400m2. This project was run to a tight schedule of 5 months which we completed 1 week ahead of schedule.